Production Crew is a first-time award for the hall of fame, and Tom O’Dea is a worthy recipient. O’Dea was born August 20, 1952, at Sioux Valley Hospital – the same day and place as drummer Mark Craney. O’Dea and his family loved music. His father, Vern, was the leader of the band Lonesome Cowboys, and brother Pat played bass. Vern, whose voice often was compared to Hank Williams, swayed back and forth while playing his steel guitar. According to Tom, that swaying may have saved his life. A syndicate from Sioux City, Iowa, had put a hit out on Vern, and the shooter bounced a bullet off the side of Vern’s temple. Vern survived the attempted hit. Tom started running special effects at age 17 for the band Conspiracy and soon after for Zeus. He became a main part of Starchild, running lights for the popular band that featured lead singer Al Hanson. Al’s father, Wendell, bought a bus for the band, and the members lived on a farm near Garretson. Tom also worked with Cody and Mighty Mouse before getting a call from Craig Katt, leader of Ivory. Craig sent Tom a plane ticket to Rapid City and told him, “You’re now our sound guy!” Tom’s experience had included light and special effects, but he learned sound quickly. He traveled with Ivory for the next 12 years. Johnny Holm hired Tom after his stint with Ivory. His first gig was the Showboat in Lake Benton, Minnesota. They had to let the air out of the band bus tires in order to fit under the trestle at the Showboat. Tom traveled with the Johnny Holm Band for the next 16 years. 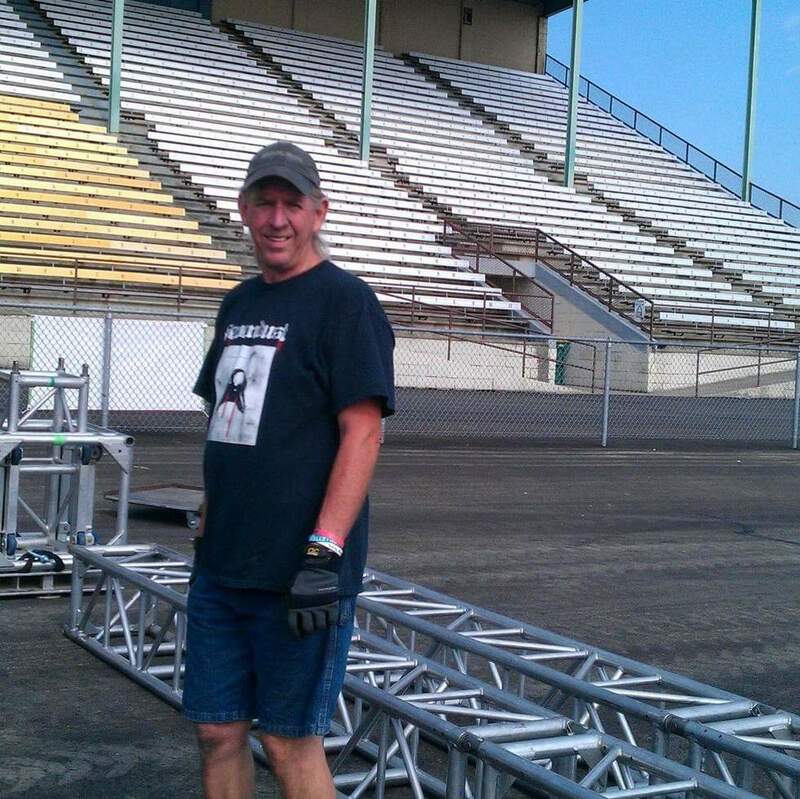 Returning to his hometown, Tom now works nearly every major show in the Sioux Falls area. During his career, he has worked with Sir Paul McCartney, Roy Orbison, Three Dog Night, Garth Brooks, and dozens more. He and his wife, Sheila, have been married for 32 years, have sons Jamie and Jarod and granddaughters Aubrey and Peyton. The South Dakota Rock and Roll Musician is proud to honor Tom O’Dea as its first Production Crew inductee.